I can’t think of any other fruit that says “Summer” like the strawberry does! Well maybe the cherry, the peach or the mango but the strawberry is truly tops for its luscious taste, smell and brilliant color! Strawberries are an amazing source of Vitamin C. With their bright red color, strawberries contain a high amount of plant phenols which have been shown to contain strong anti-oxidant properties. 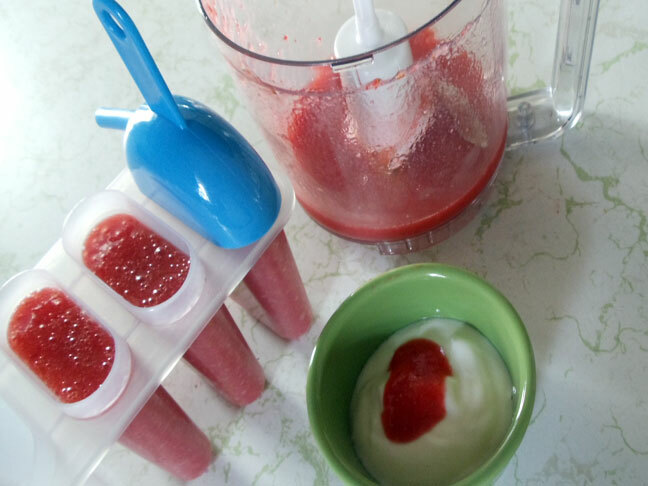 Using fresh strawberries, you can blend up a nutritious healthy puree that may be frozen into ice cube portions and drop into a mesh feeder or mixed into a variety of baby’s foods; don’t forget to make ice pops for the big kiddos too! Fresh strawberries are known to cause food reactions in some babies. Cooked strawberries, on the other hand, usually do not. Heat pasteurization destroys the protein in the strawberry that is thought to be responsible for reactions. 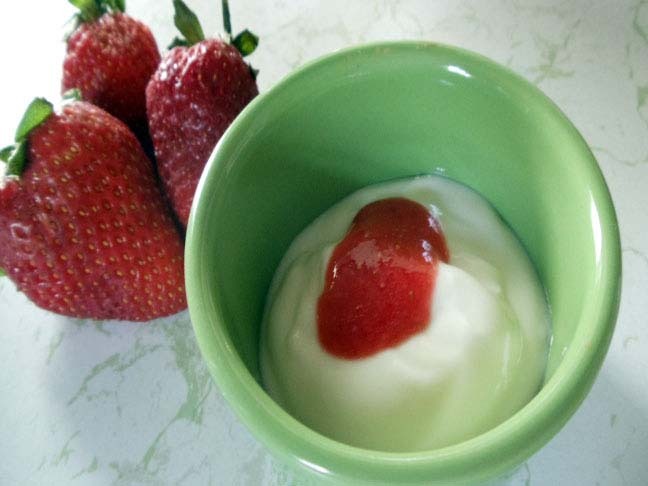 It is suggested to introduce fresh strawberries between 10-12 months old however, many babies certainly enjoy fresh strawberries earlier, from 8 months on. 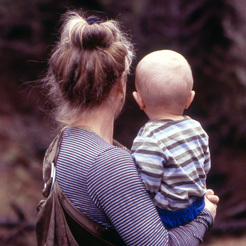 Do be sure to consult your baby’s pediatrician about introducing foods to your baby. If making frozen treats, add the mixture to ice cube trays or to popsicle molds and freeze until solid.